One year ago my family, friends, fellow bloggers and even strangers came together to completely change my life. If you've been reading for a while then you'll know what I'm talking about but if not, here's some context. Over the past few years various medical conditions have forced me to become more and more reliant on a wheelchair to get around and for nearly 2 years now I've had to use one whenever I leave the house. The problem is though I cannot self propel a manual wheelchair so for a long time I was reliant on not only a wheelchair, but someone to push the wheelchair. This meant that often I only left the house once a week and the independence I had left was slowly being taken away from me. It was so frustrating and emotionally difficult not having control over when I went out. 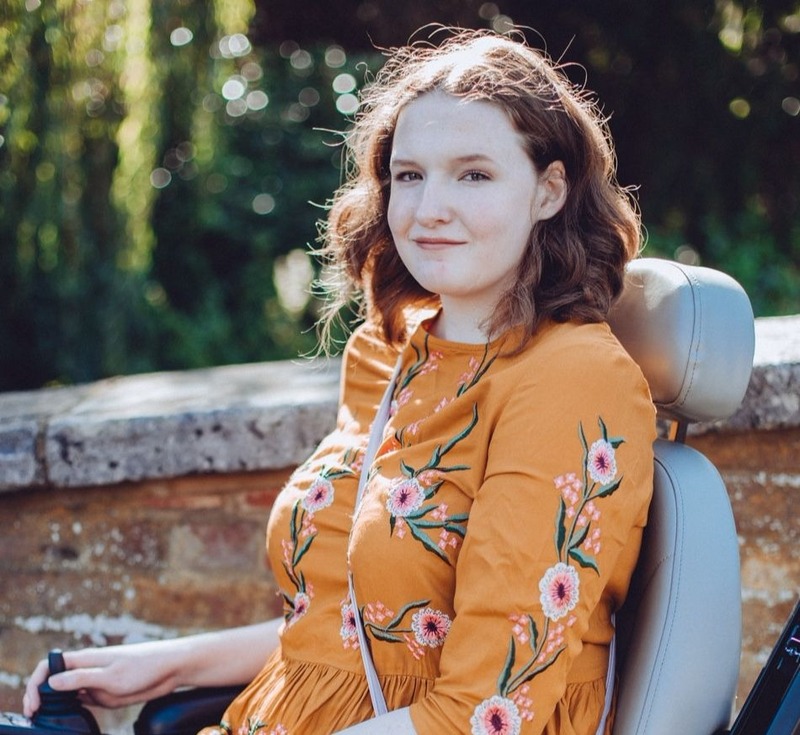 So, I started looking into powerchairs and wheelchair services but I quickly found out that the NHS wouldn't be able to help me because of strict rules, my ability to walk a few metres inside my home was stopping me from accessing the help I needed. It seemed like all hope of gaining back my independence was lost until someone suggested that I set up a GoFundMe to raise the money to get a powerchair and the rest is history. Everyone quickly came together and donations flooded in, it was a nearly £900 donation from a complete stranger that got me to my target within 2 weeks though and even now I'm overcome with emotional when I think about it. My new powerchair was delivered within a month of reaching the target and since then my life has changed so much. I can now go where I want, whenever I want (depending on pain). I can get to appointments, to the shops, to visit family and friends and to just leave the house because I can! I've had some amazing trips out because of my powerchair, everything from going to the Strictly Come Dancing tour to giving a talk at the British Heart Foundation head offices. These are both things that would have been impossible without my current powerchair. It's seen me through a whole year and I will never forget what you all did for me, but now it's time to upgrade. My health has declined a lot since then, with my spine rapidly deteriorating and my pain increasing. This time though it looks like the NHS might be able to help me since my health has worsened, I'm currently going through the wheelchair services system. It's likely that I'll have to accept a voucher as I don't think they can supply exactly what I need, so I might need to fundraise again but the battle won't be as big this time. As I said though, without my current powerchair I would have spent another year of my life stuck inside my house, relying on others to leave it. So, from the bottom of my heart, thank you.